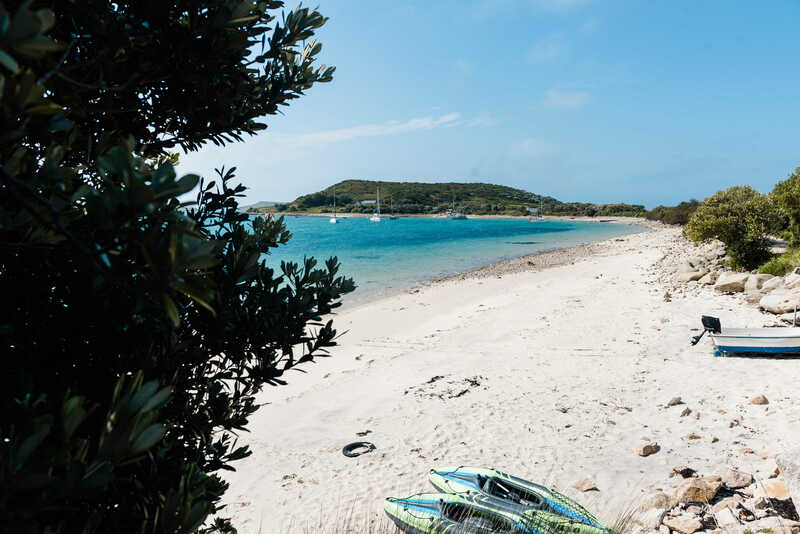 In the summer, Bryher may look more like heaven – with Atlantic waves lapping the edges of the cove, and sandy beaches fringing the grass and wild flowers. But come here in a storm, when the breakers sweep in from the ocean and meet the first land for two thousand miles, and you’ll see Hell Bay is aptly named. And it’s one of the contrasts that makes Bryher so unique. Take a boat from St. Mary’s quay, this is an adventure in itself; the journey takes around 20 minutes with boats departing at 10:15. 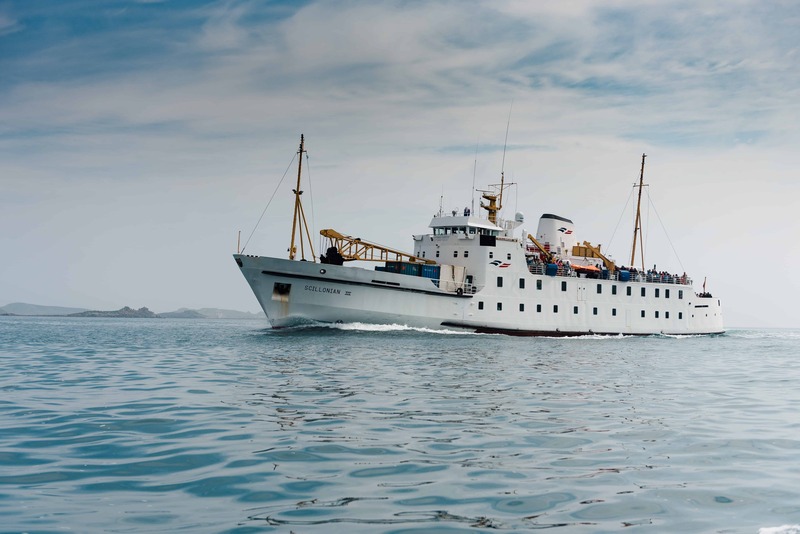 You’ll have a couple of hours to explore the island and one of the best ways to see Bryher in all it’s glory is from the water. On Green Bay just near Church Quay is Bennetts Boatyard and a watersports centre. Hire a kayak or stand up paddle board, working up an appetite for lunch. 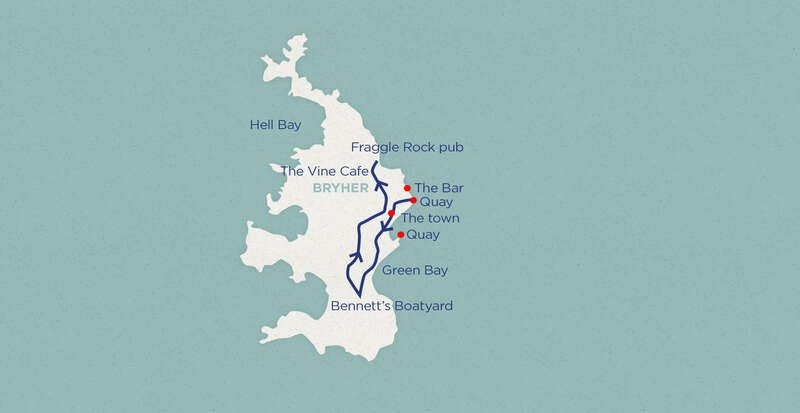 On Bryher, there’s Fraggle Rock Bar. Simple and uncomplicated, the atmosphere is relaxed and the menu ample. 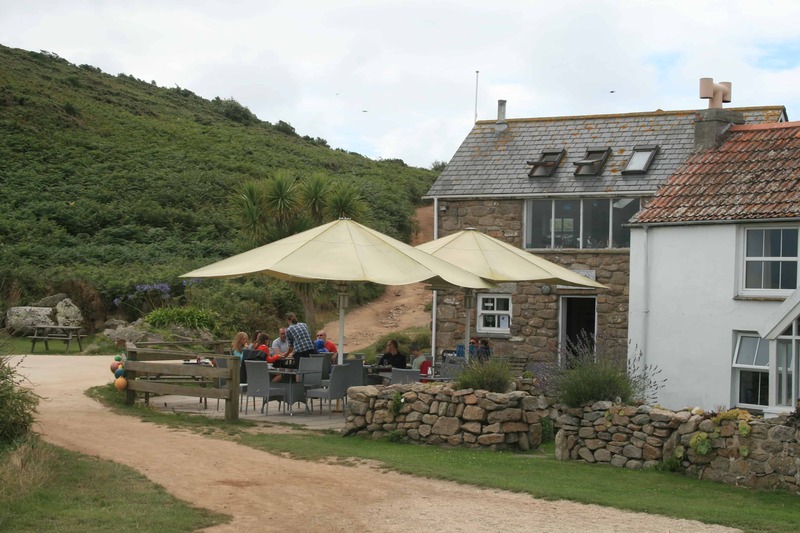 Stop by for a traditional Cornish beer and views across the Tresco channel. Or try the Vine café. This quaint little café is a 5-minute walk from the quay, the atmosphere is often described as like stepping back in time. The food is simple and all home-baked, it’s a great venue for home cooking in a cosy setting. 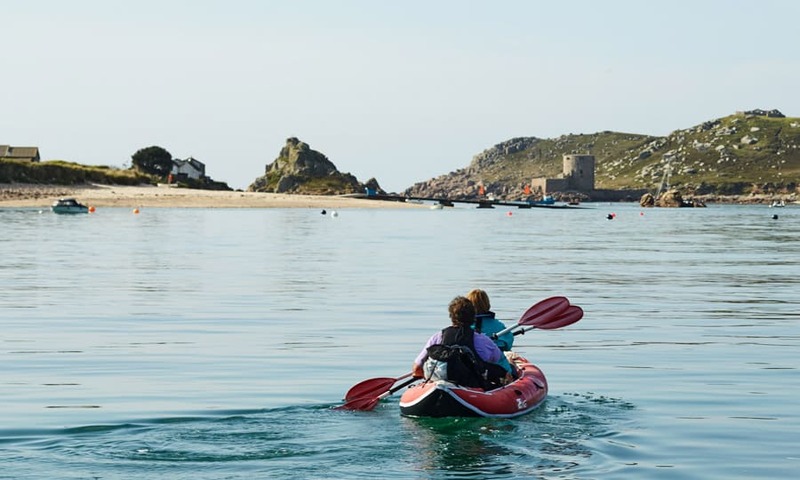 The calm waters are perfect for beginners to try their hand at watersports and the shallows are ideal for paddling in. Fraggle Rock bar is well known and even referred to by Jamie Oliver as the 'place to be'. On days of low spring tide, it’s possible to walk between the neighbouring island of Tresco and Bryher.